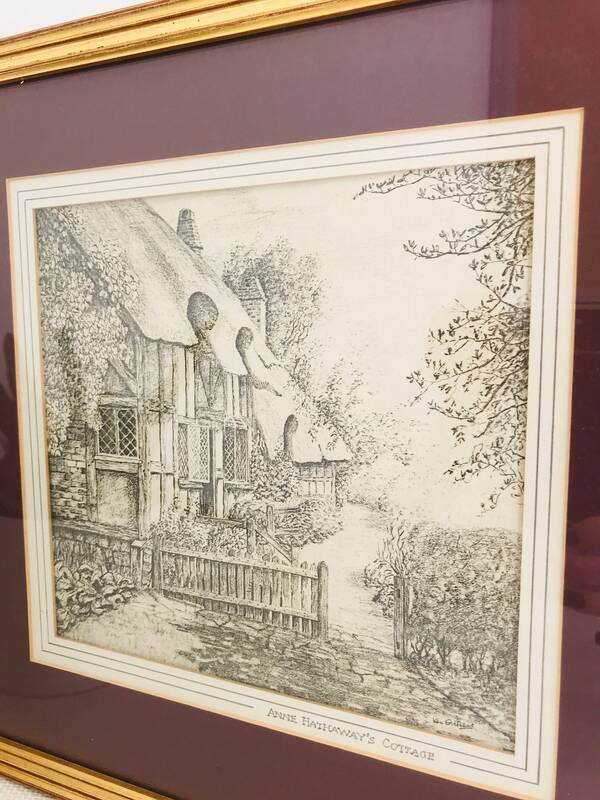 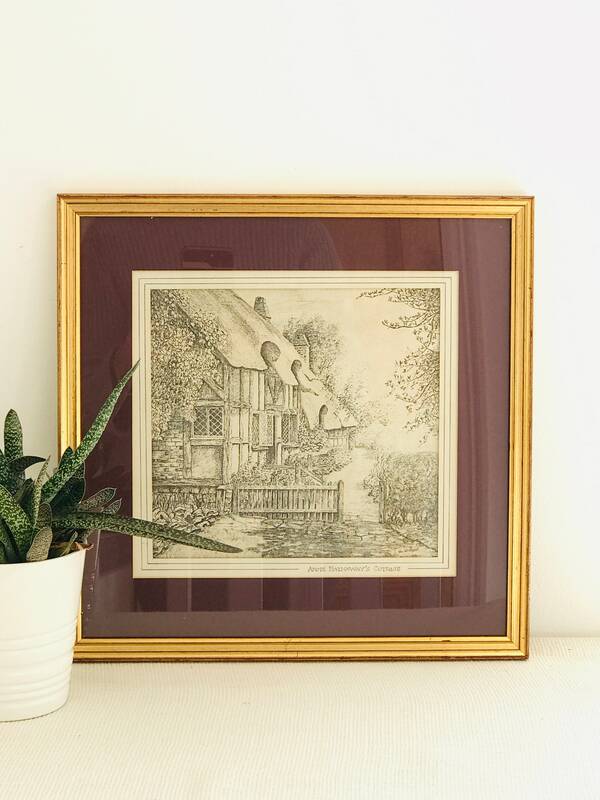 A pretty lithograph / printed sketch/pencil drawing of the 500-year-old Anne Hathaway's cottage, Stratford upon Avon. 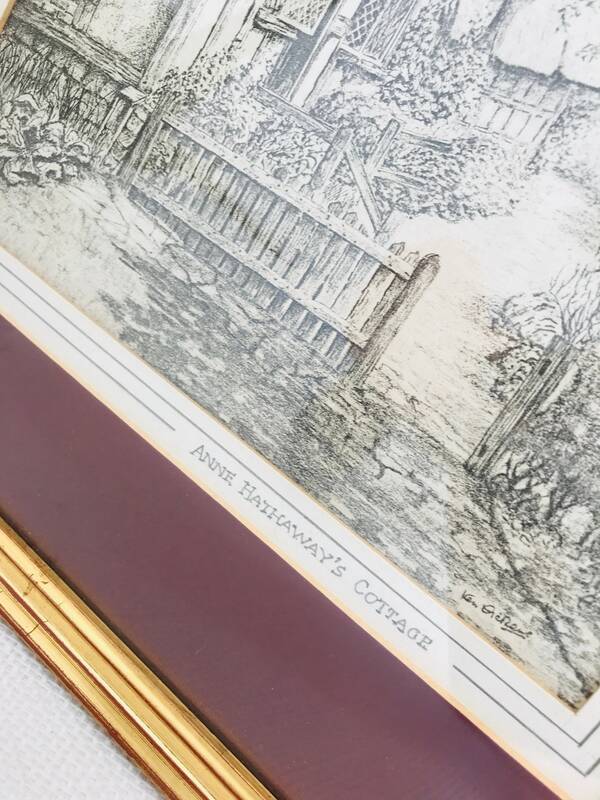 Anne Hathaway was the wife of William Shakespeare and her cottage and garden is a national treasure and open to the public. 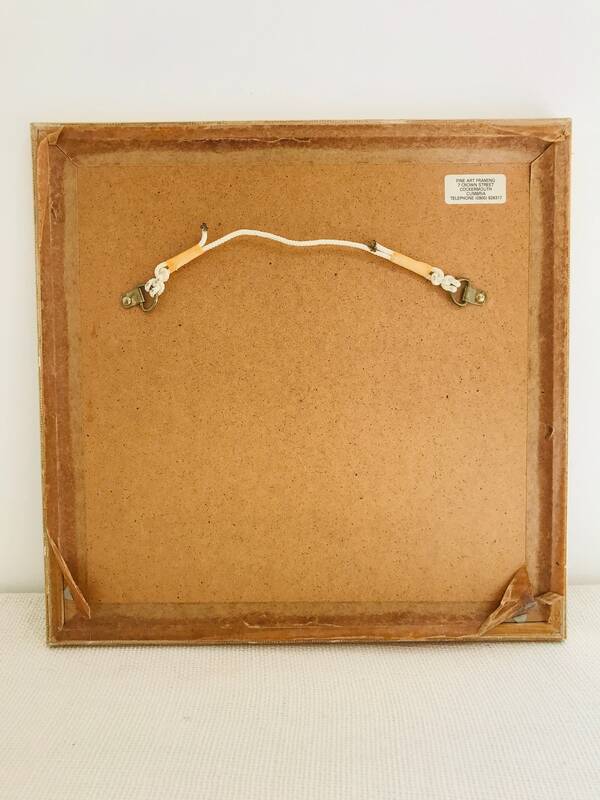 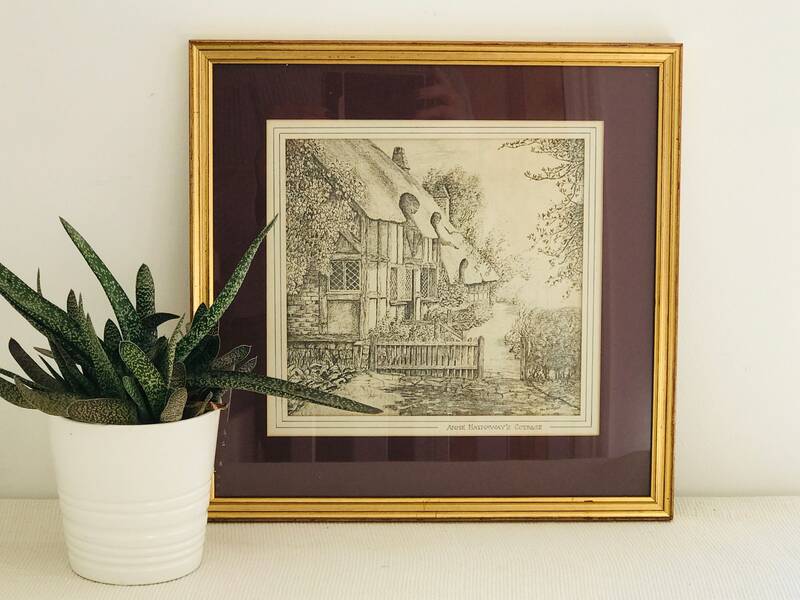 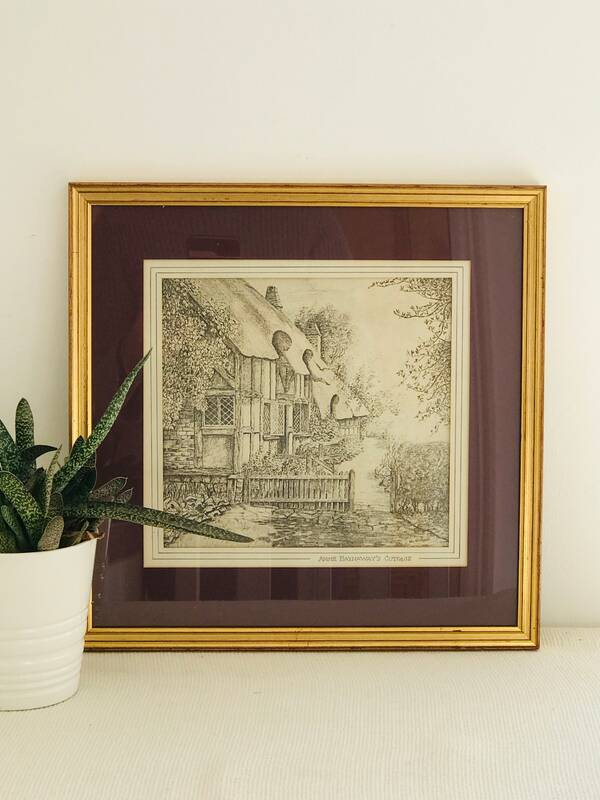 Mounted in Burgundy Red with a Gold Frame which accents the red of the mount. 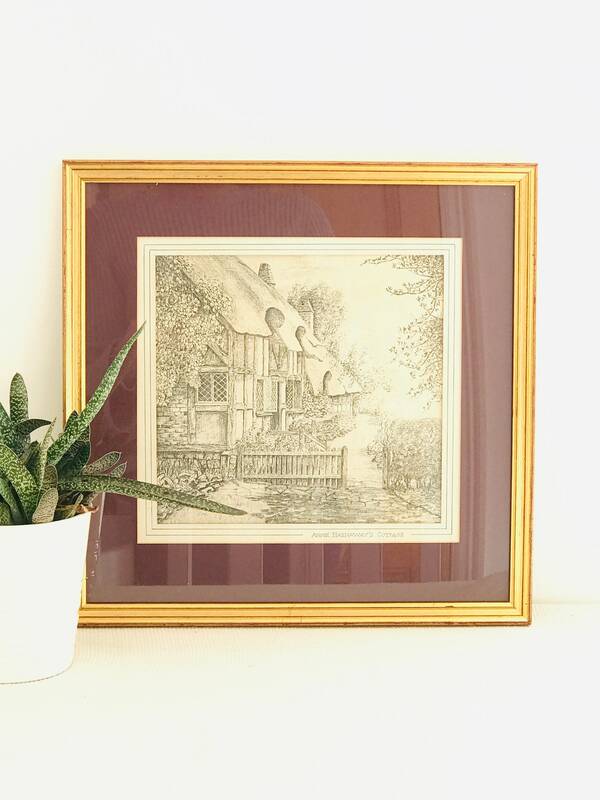 Would make a lovely housewarming, or birthday gift. 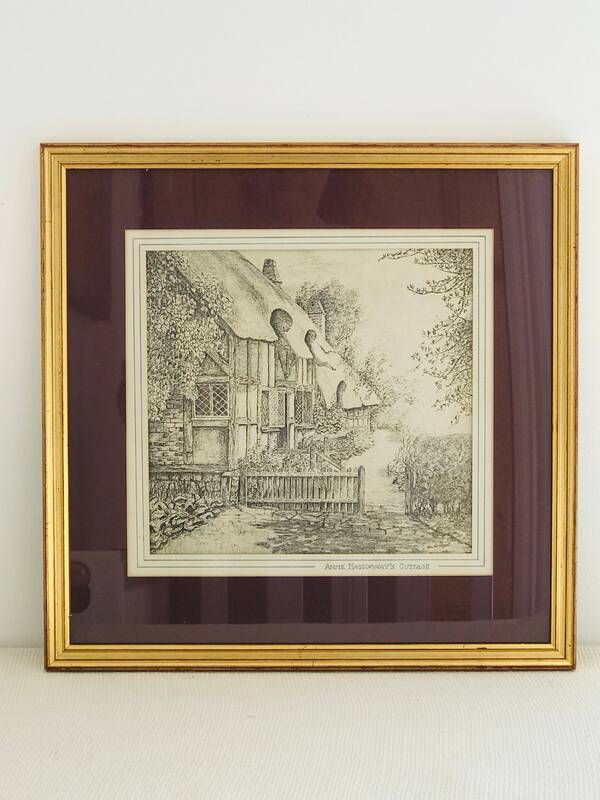 Perfect for Shakespeare lovers or Stratford upon Avon, Oxfordshire, newlyweds.